We spoke to Pat and Karen about Heritage Care at Home and the impact of Nwes’ support. Can you tell us more about Heritage Care at Home? We provide bespoke care services, which enables people to stay in their own homes, living as independently as possible. What are your backgrounds and how did they motivate you to set up Heritage Care at Home? 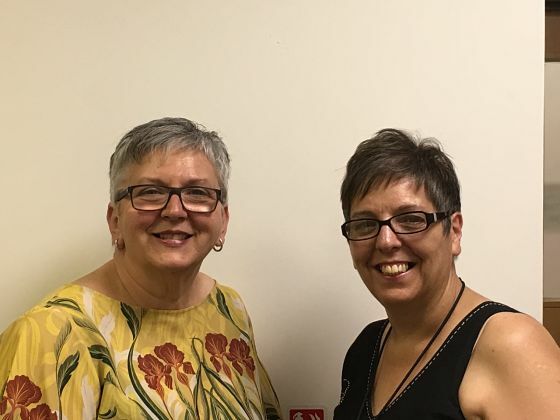 We both have backgrounds in care, and we were working for a different company in the Lowestoft region, when we noticed an increase in the demand for care services in Leiston and the surrounding area. With most staff based in Lowestoft, support further down the coast in Leiston was not always possible. We decided to leave the business, set up Heritage Care at Home, and ensure the new business was able to meet the needs of local families in and around Leiston. This was an incredibly exciting time for us and made us feel that we had made the right decision to leave a secure position, with all the benefits that came with working for someone else. What has the impact of Nwes been? Nwes offered a platform from which Heritage Care at Home could establish itself and grow. Leiston Enterprise Centre, offered us the perfect solution. We looked around the Leiston area and decided to take a virtual office at Leiston Enterprise Centre to build our professional profile. Then we were advised by Nwes that we were suitable to take on an incubation program. After the year under the incubation program, we then took on one unit, then, later expanding into two units. We now have three units at Leiston Enterprise Centre and a satellite office in another Nwes-managed property at Riverside Business Centre in Lowestoft. The growth of the business in the last six and a half years has not been without some difficulties. Supporting vulnerable people regularly brings some challenges, but working closely as a team and supporting each other ensures we are able to overcome these, while maintaining the quality service and professionalism we have become well-known for. We have a rigorous recruitment procedure and our all staff undergo full training. Our customers are treated as if they are our own family, and with dignity and respect at all times. The constant support in our journey, from taking a virtual office, to moving into offices under the incubation scheme allowed us to set up the business. Additional support from an Nwes Business Advisor greatly contributed to the company that we are today. The support from Nwes has allowed us to grow with confidence.